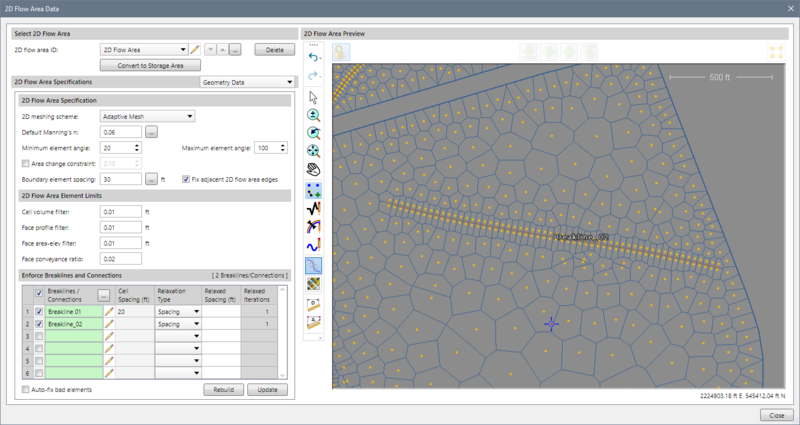 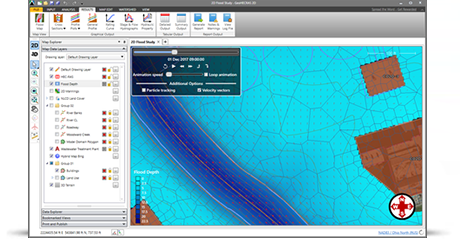 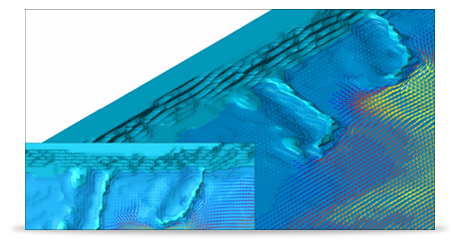 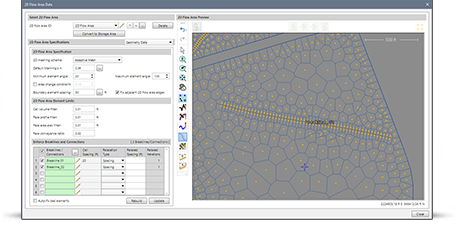 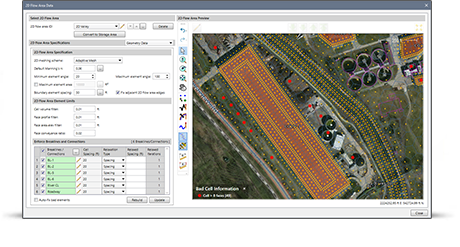 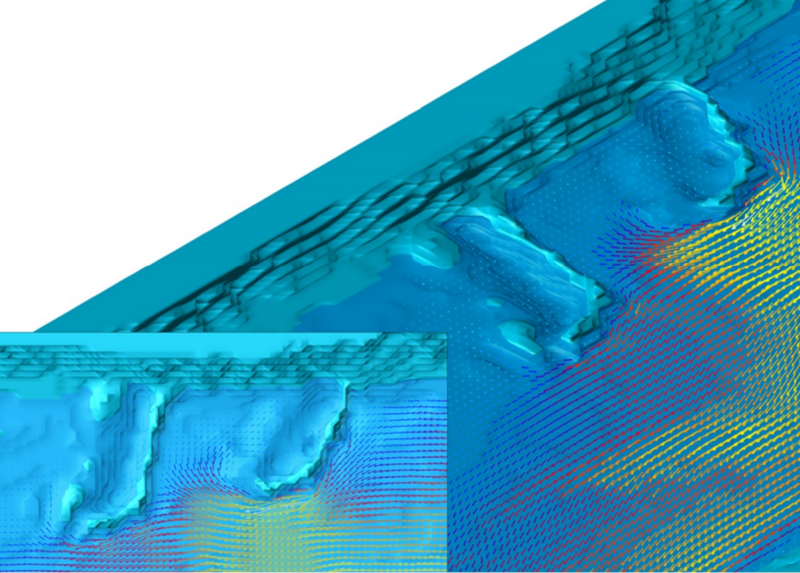 GeoHECRAS significantly speeds up HEC‑RAS model creation and review, producing better and more accurate results. 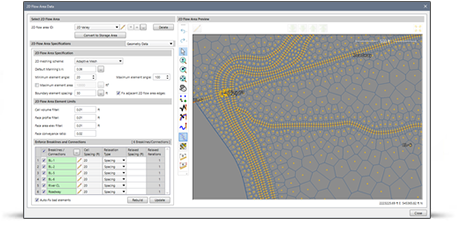 Rapidly construct HEC‑RAS models from a variety of data sources. 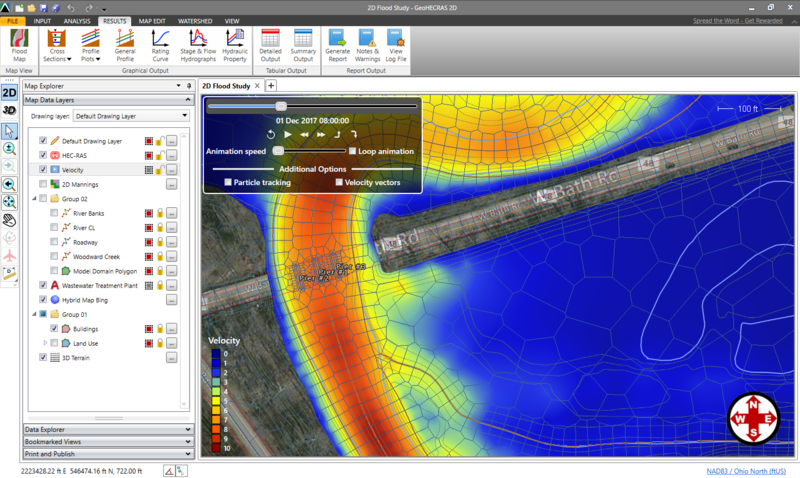 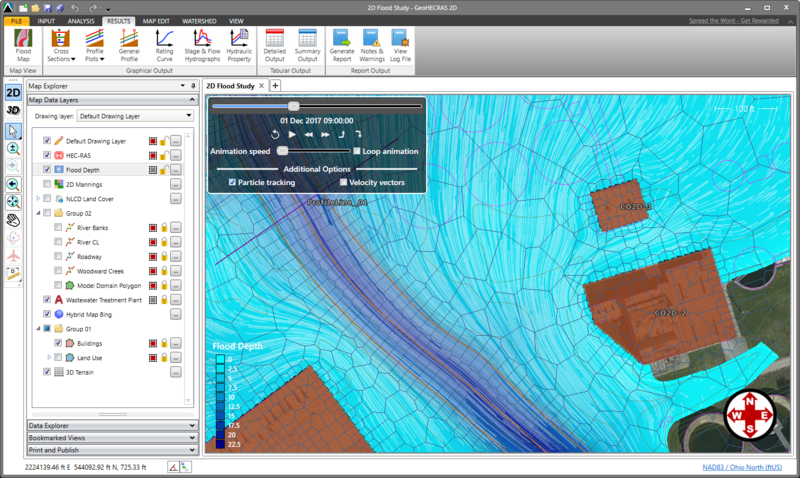 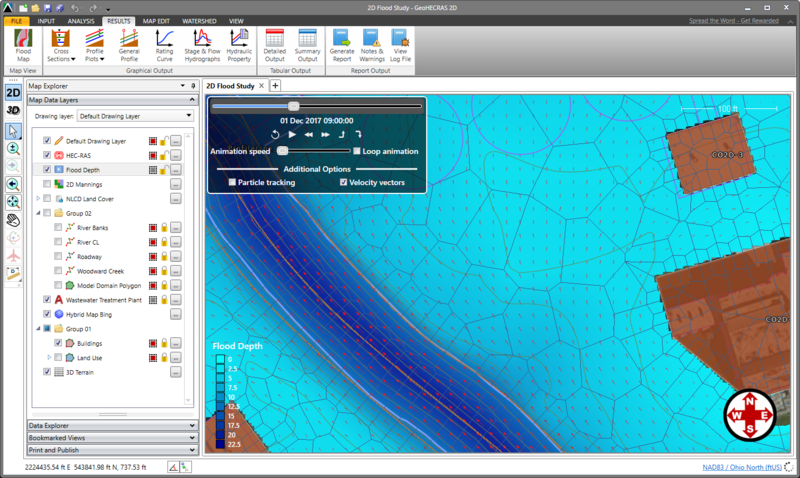 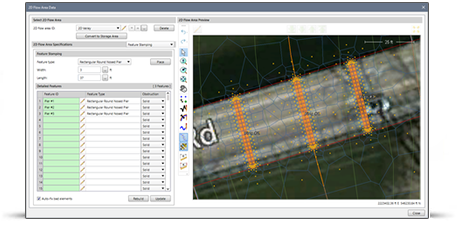 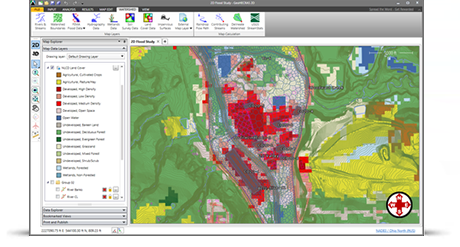 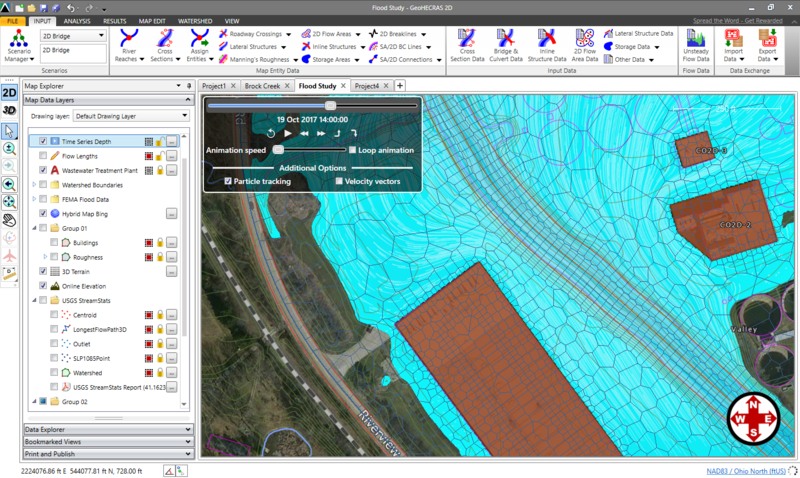 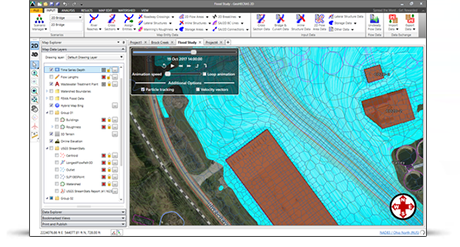 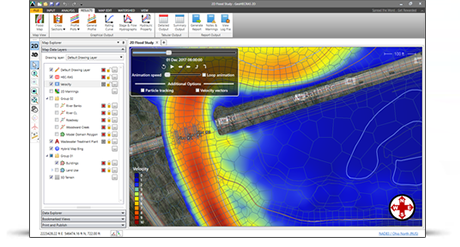 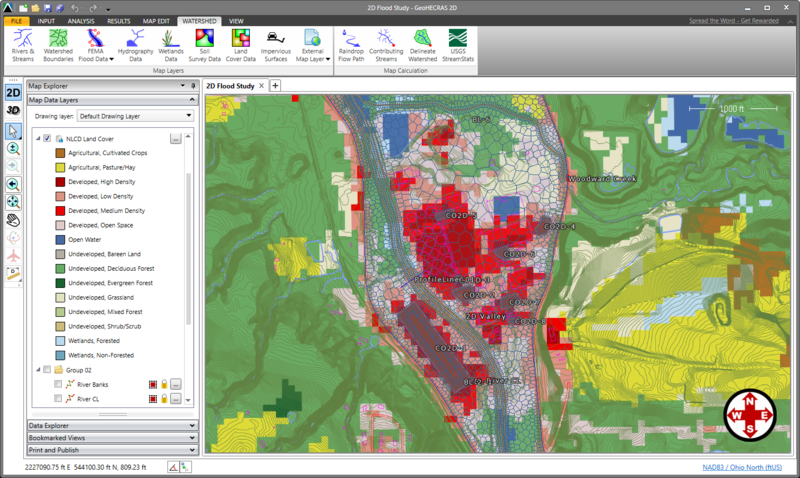 Accelerate engineering workflow and streamline analysis review. 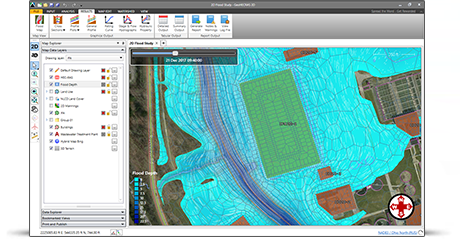 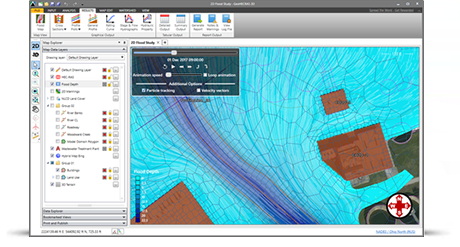 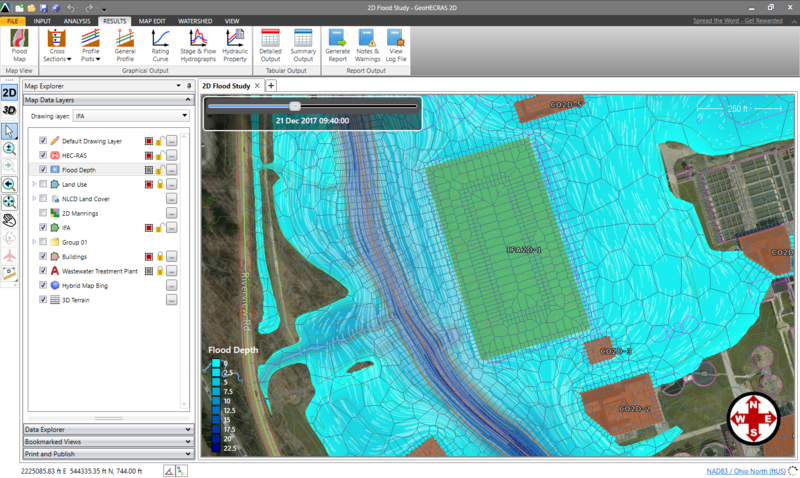 Compute water surface profiles for steady and unsteady flow models, bridge and culvert roadway crossings, FEMA floodplain encroachments, stream restorations, inline reservoir structures, off-channel storage areas, and much more. 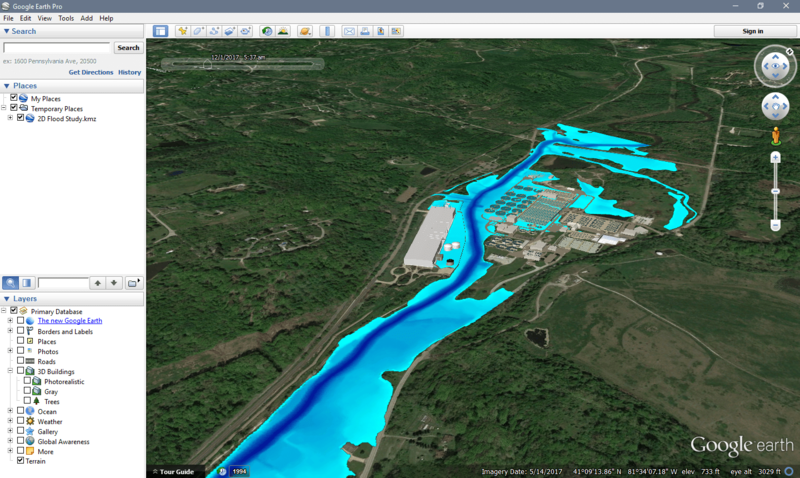 For unsteady flow models, the flood map can be animated to show how it changes with time. 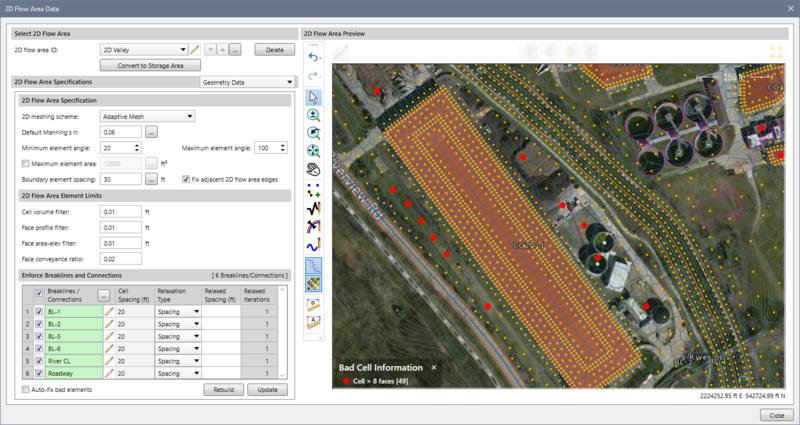 The animation speed can be adjusted, as well as set up to loop continuously. The final animation can be recorded to a video. 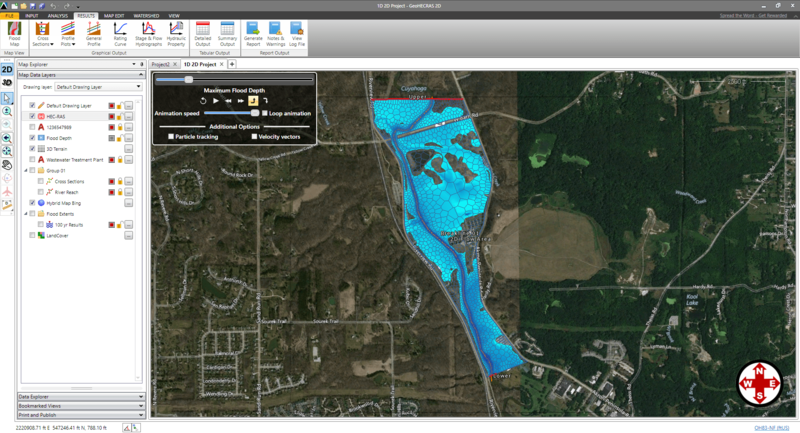 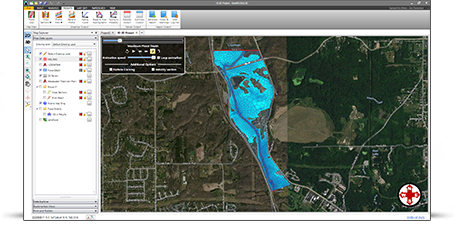 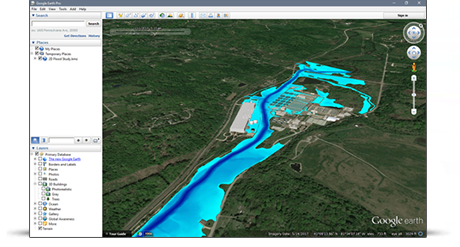 In addition to animating the flood results, options are available to show the extent of the maximum and minimum flood areas. 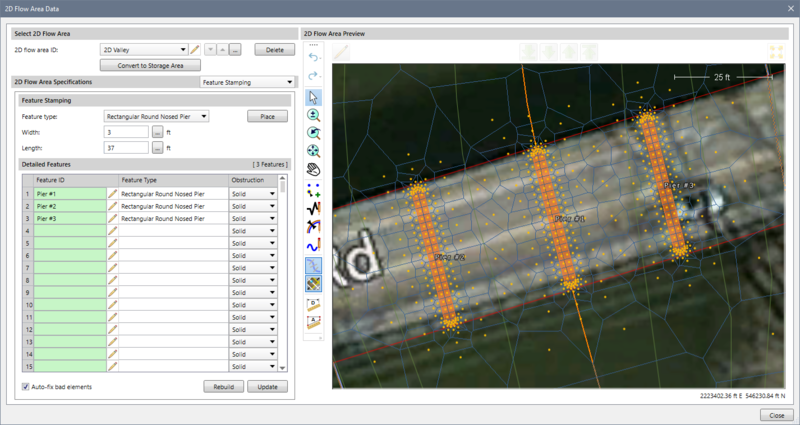 Download and try out GeoHECRAS 2D!